What it is: An essential springtime color collection featuring classic neutrals and seasonal tones that are perfect for creating your ultimate vacation looks. What Else You Need to Know: The full-pigment powder formula delivers high color payoff and intensity. 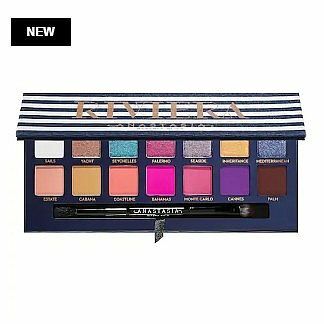 These 14 new, paradise-inspired mattes and metallics range from vibrant jewel tones to bright colors for shimmering, glam, smoky eyes and pops of color. The palette includes a dual-ended brush and a large mirror for travel-friendly packaging.